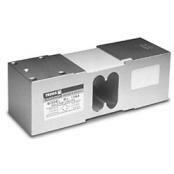 Replacement Single Point Strain Gauge Load Cells are in stock and ready for fast shipment to you when you need them. 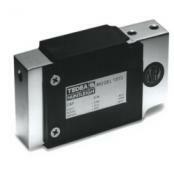 We have a huge collection of brand name replacement load cells for your scales. If you need a particular model number or capacity give us a call or contact us and the odds are that we can either supply you the exact load cell you need or we can provide you with an interchangelable load cell that is nearly identical. These types of single point load cells are often utilized in commercial and industrial weighing systems for small to mid size bench platforms and the chances are we can get the model number or capacity that you need. If you need a particular model like a Tedea 1042 or Tedea 1250 please call or email and chances are we can get that load cell or an equivalent version on its way to you today. We emphasize Tedea Huntleigh below but we also have other brands like Rice Lake, Celtron, Artech, Zemic, Brecknell, and Sensortronics available. 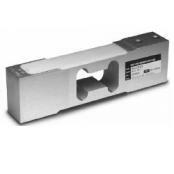 Very low-profile single-point load cell designed for direct mounting in low-cost platforms. Anodized aluminum construction is combined with two-beam machined technology to provide an affordable load cell option. Capacities from 3 to 35 kg (6.6 to 77.1 lb). Complete with 500 mm (19.7") of load cell cable. 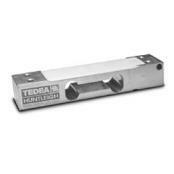 If you need this Tedea 1042 load cell please call or email us because we can get this for you. A lower-profile single-point for platform weighing. This model is constructed of aluminum, and is a two-beam design. This design offers high immunity to side forces, and is specially coated to provide humidity resistance. Capacities from 1 to 100 kg (2.2 to 220.5 lb). Complete with 3.1 m/10' of load cell cable and NTEP approved. High-capacity, off-center loading aluminum single-point. This model is of the two-beam design, and is specially coated to assure durability in harsh environments. 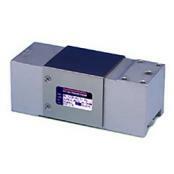 Capacities from 50 to 635 kg (110.2 to 1399.9 lb). Complete with 3.1 m/10' of load cell cable and NTEP approved.